On January 4, 2018, HP announced that it is recalling approximately 50,000 batteries used in their notebook computers and mobile workstations sold between December 2015 thru December 2017 after reports of overheating, melting or charring. 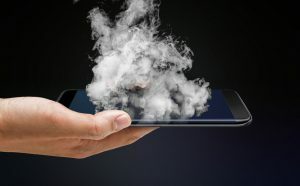 If you have a case or claim involving a lithium ion battery fire, whether it be from a computer, cell phone, hoverboard, e-cigarette or any other device, we can help with the investigation. ARCCA’s Dr. Michael Stichter, Mechanical Engineer, is experienced in identifying the failure modes of lithium ion batteries in all consumer devices. To read his latest article regarding lithium ion battery fires, click here. To learn more about Dr. Stichter or to contact him, click here.